Unfortunately, the myth that flowers presented with love will stand in a vase for an incomparably long time is far from reality. Often presented with pure flowers bouquets wither in a couple of days. The reason for this is the greenhouse conditions in which roses are grown for sale. Getting into the homely atmosphere, they are simply not able to preserve their original beauty for a long time. It is possible to prolong the life of the donated plants by providing their usual flora. Almost every woman who received a bouquet of roses as a gift makes the same mistakes. At the same time, the negative impact, at first glance, seems to be an absolutely innocent concern for flowers. In fact, they simply cannot normally exist in stuffy apartments, standing in plastic or glass vases and eating hard, chlorinated water. Therefore, such bouquets wilt in 1-2 days. Preserve the freshness of delicate roses, understanding the simple rules of caring for them. Only the complete elimination of all negative factors of influence will increase the life of flowers and enjoy their extraordinary beauty for a long time. Avoid sudden changes in temperature and humidity. A bouquet brought to the house cannot be unpacked immediately. It is better to put it in a shade for 1 hour and then remove the wrapper. Avoid drying cuts. It is advisable to put them in the water as soon as possible after purchase. Prevent rotting. To do this, carefully remove all the thorns and leaves that are below the water level in the vase. 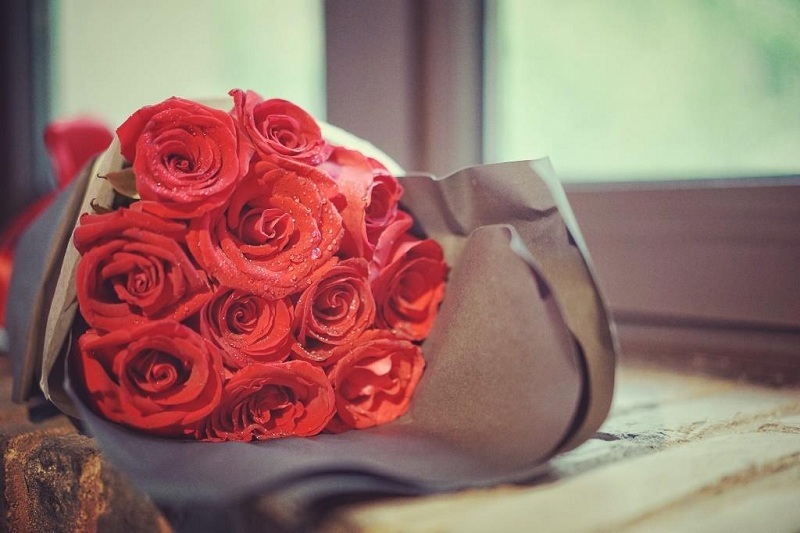 A large bouquet of 20 or more roses, brought into the house, can not be left rammed. It is better to put it in a large diameter vase so that each flower can “breathe”. 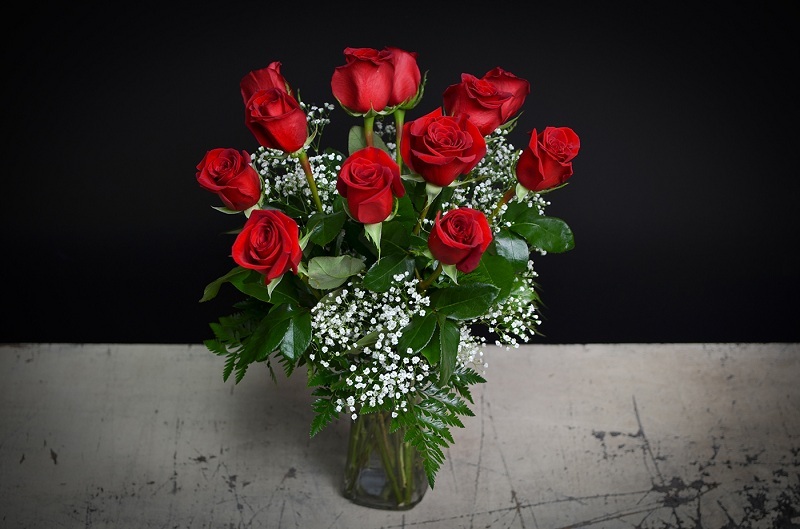 Roses – extremely delicate and moisture-loving plants. To ensure optimal penetration of moisture, you need to cut them at an angle of 30-60 degrees or slightly split the edge of the stem in the middle. To prevent air from entering the capillaries, it is better to cut the roses under the stream of water. It is important to keep fresh flowers only in ceramic vases. They prevent the ingress of light on the stems in the water, which helps slow down the process of rotting. The bouquet in no case should not be left on the windowsill. It is better to avoid direct sunlight and drafts. Live roses do not like dry hot air. You need to understand that the optimum temperature to preserve the freshness of cut flowers is 2-5 degrees. In this case, not excessive and high humidity. Water in a vase needs to be changed daily. In addition, spraying the buds with a spray bottle would be helpful. Experienced florists say that roses can be very capricious. Therefore, it is better to put them separately from other home or fresh cut flowers. Water for the bouquet should be at least separated, better – purified. Its composition should prevent destructive processes, and not contribute to them. 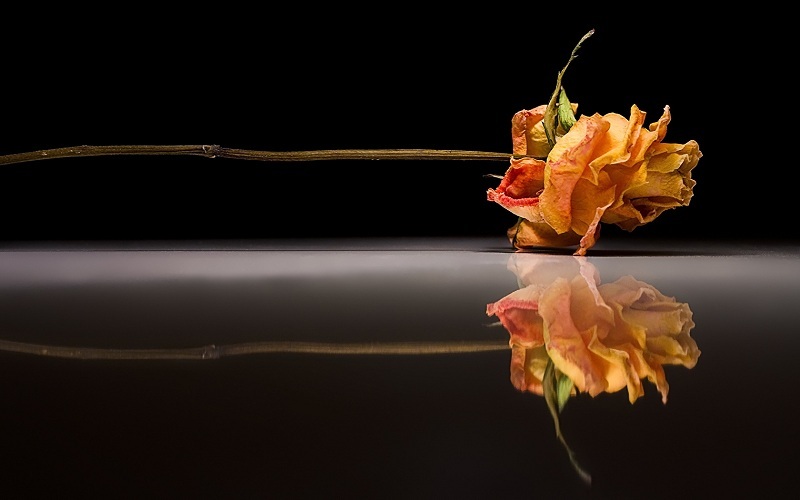 Therefore, water for roses should be disinfected using antibacterial ingredients available in every home. Simple tricks for disinfecting water in a vase will significantly reduce the rate of reproduction of microorganisms that parasitize on the stems of plants and provoke their withering. However, nutrients are needed to extend the life of fresh roses. 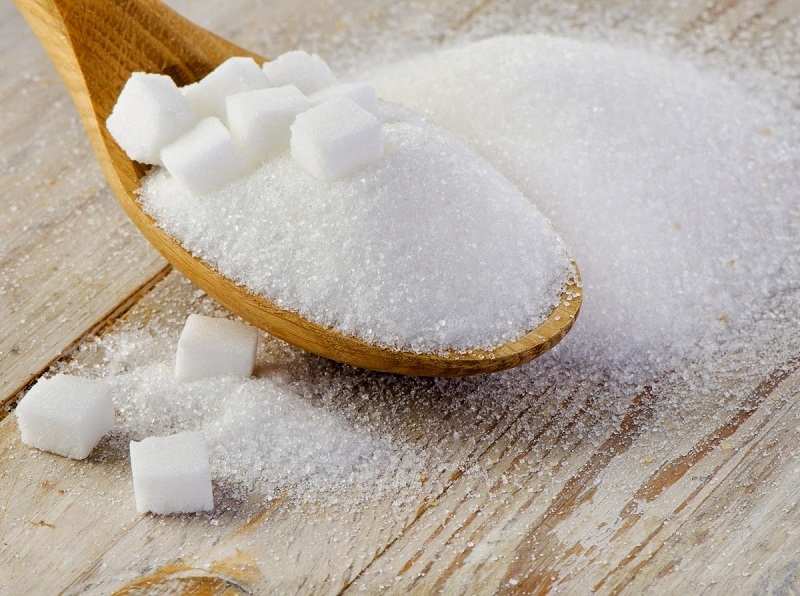 To do this, you can add glucose to the vase – regular sugar or powder. To cut the flowers were much longer, it is recommended to move them at night in a bath filled with cold water. You do not need to strive to immerse them completely. Fresh buds, as a rule, should remain above the surface. A similar effect can be achieved by putting fresh flowers in the fridge. The usual ice will help to prolong the life of cut flowers. To do this, you can fill the vase with cubes from the freezer, add some purified water and drop the stems there. 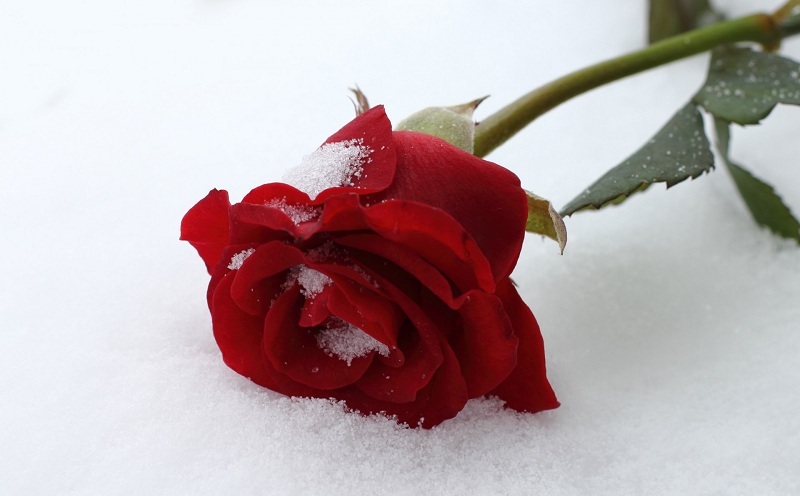 Gradually melting, the ice will provide a comfortable temperature for the roses. In such conditions, the life span of fresh flowers can reach 2-3 weeks. ← Delightful Bouquets: What Are They?